How does a patio become a Placemaker? 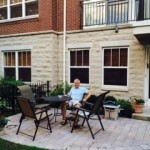 In a recent blog, I described our process of having a patio installed in the front yard of our Ravenswood townhouse, located in south Andersonville, 60640. The patio has delighted us with two neighborly surprises. Now that we take our dinners out on the patio, we see our two kinds of neighbors. There are neighbors who stop by or yell a hello across the fence. 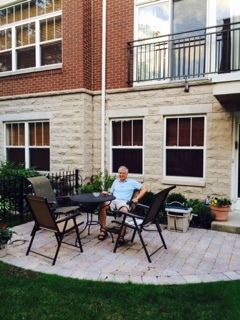 We expect to hear more of these now that two of the eight neighbors in our row of townhomes love what we have done, and are planning their own patios. 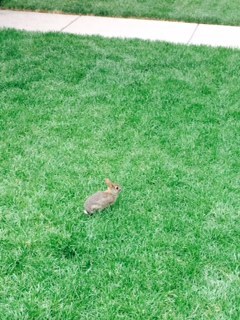 Then we have begun to notice wildlife. These are our quieter sorts of neighbors, including a lovely monarch butterfly that has appeared the last three nights to sit on our heads and shoulders. 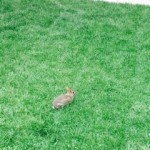 There’s also a very tiny rabbit that munches on the new grass to enjoy dinnertime with us. It makes me think of an article I read that mentioned a new concept called Placemaking – inspiring people to create and improve their public spaces. I can see how the patio is Placemaking, as it strengthens the relationship between people and the places they share. So now my husband Keith and I are thinking about organizing a progressive open house/patio walk with the 8 townhouse owners living on our side, and will invite the other 8 owners that live across the alley. Also I am beginning to understand what happened at our homes on Paulina, and will write about that in a future blog.